we have a duty to protect those who cannot defend themselves! I am absolutely distraught about this Deluth Company land deal. We simply cannot stand by as these poor, innocent forest creatures lose their entire way of life to the merciless appetite of the corporate Bulldozer. There is still time! We have to do more than just wipe the tears of the giant treetoad as he watches his beloved home torn down. We have to do more than just console the Hammerhead Oy Oy as she sees the future of her people burning to the ground. We have to do more than just round up the scores of refugee animals that will be driven from their native lands and waters–the Leafy Deermouse, the Naked Molerat, and the swampfish, to name only a few! But most alarmingly, the local government seems to have fallen under the spell of the Deluth Company’s bold promises to build low–cost mini–mansions, and has forgotten that in the process they will be destroying the home of its current very endangered, very elusive, and very ecologically vital San Acitos Dirt Shrew! The local Dirt Shrew population is single–handedly responsible for pollinating the Miniscus flower, an extremely important source of food for many of the local wildlife. The Dirt Shrew is indigenous only to this area of the Hammerhead Wetlands—it is not found anywhere else in the world, making it an extremely threatened and closely–studied native species. We simply cannot and will not allow Deluth’s genocide of this species carry out! Email me at rainchild12@gmail.com to get involved, sign our petition, and join the Friends of the Wetlands at the next city council meeting on September 28 to get our voices heard! As the citizens of this city, we have a duty to protect those who cannot defend themselves! I created this presentation as a visual aid to our cause. Please watch it—and then see if you can stand by while these magnificent creatures are mercilessly driven out of their native home. Now available! 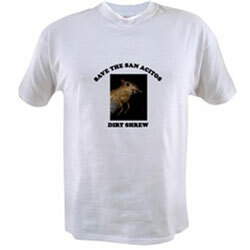 The “Save the San Acitos Dirt Shrew” Tees! Did you ever want a shirt that is full of life and also a political statement for a local endagered species? 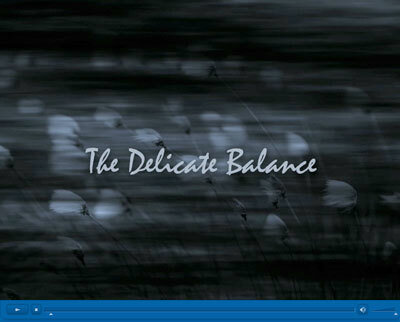 We at Hammerhead Wetlands have worked hard to produce a quality design with meaning and life. It is time for us to unite and show those in power that we are united in protecting God’s animals!! Raise awareness for this highly threatened creature!